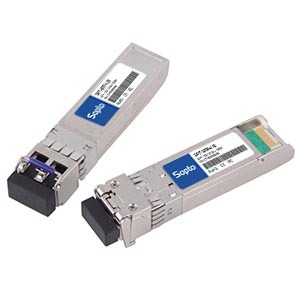 Sopto SFP+ transceiver are multi-purpose optical modules for 10Gbit/s data transmission applications at 850nm, 1310nm and 1550nm. The transceivers are ideally suited for datacom and storage area network (SAN/NAS) applications based on the IEEE 802.3ae and Fibre Channel standards, Fiber Channel 10G, 8.5G, 4.25G, 2.125G, 1.0625G, 10G BASE-SW/SR/LR/ER, 1000 Base-SX Ethernet. Product was better than expected! Working Perfectly! Great selection, competitive prices, great service! I think it deserves all the praise it can get. I 100% trust SOPTO and most definitely be coming back again and again and again and again. works great...easy to use. will buy more if i need to. It works and it's has a very good price. high quality and arrived on time.